Swords have a long history in China, and are grouped into two types: Jian (dual blade) and Dao (single blade). 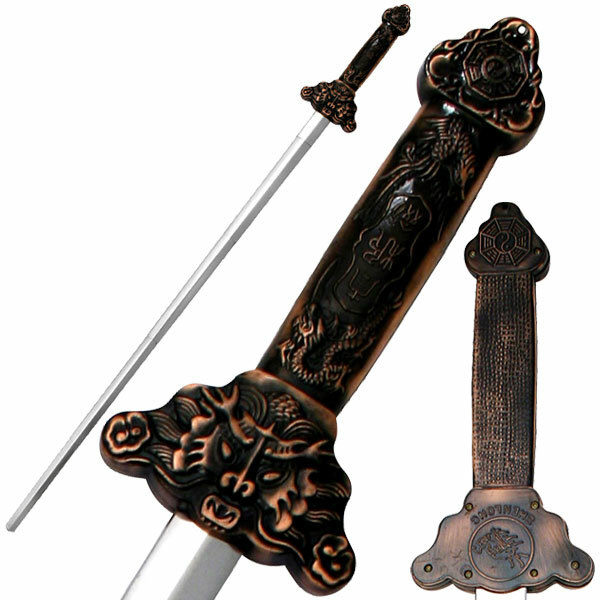 The Jian double-edged sword has been used in China for the past 2,500 years and is considered one of the four major weapons in Chinese folklore. The Dao single-edge sword is used mainly for slashing and chopping. In English, it is commonly referred to as the broadsword because of the wide blade. This is also considered one of the four major weapons in Chinese folklore. This category is made for both collectors and martial artists, because the swords can be used for Kung Fu, Tai Chi, Wushu, and other traditional martial arts.